The city of Chicago is known for its history, art, attractions and much more. It’s no wonder it’s home to more than 52 million international and domestic visitors each year. 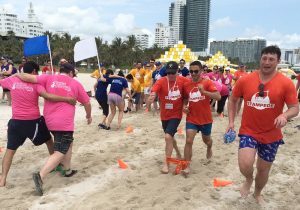 Although coined the “Windy City”, with the most common explanation being the cool breezes blowing off Lake Michigan; Chicago is proud to boast its ideal summer weather making either indoor or outdoor team building activities perfect any time of the year. 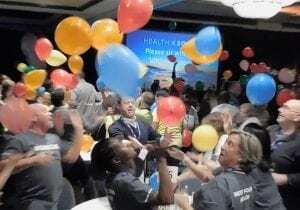 If your corporate group is visiting Chicago, the team building programs led by Best Corporate Events can help turn your trip into one your team will never forget. 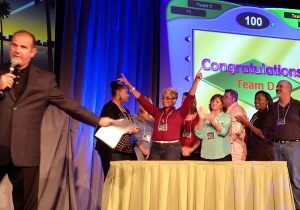 Best offers over 50 team building activities. Bring your team together for a give-back CSR program that will boost team spirit while helping less fortunate members of the community. We are proud to offer a diverse number of CSR programs that help overseas soldiers, schools, the homeless, children and more. 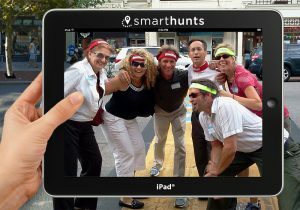 If your group wants to get up close and personal with the city, then a fully customizable SmartHunt®, city scavenger hunt would be a perfect choice. Your team will be on the hunt for the cities greatest known landmarks, like Willis Tower, Navy Pier or Wrigley Field. If your group loves food, then we recommend our Foodie SmartHunt or a Food Truck face off! Foodie SmartHunts will allow your group to explore the city while tasting and trying some of these delicious favorites. 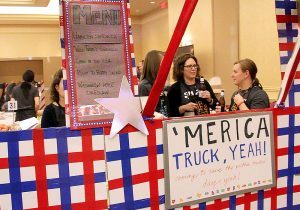 During a Food Truck face off, your group will create their very own food truck company which perhaps may “serve” some of Chicago’s favorite menu items. 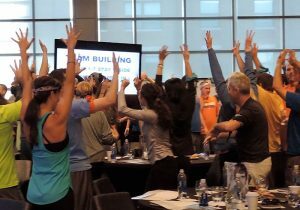 With more than 50 distinct programs, your team will experience a fun, memorable and rewarding Chicago team building event. We love Chicago! 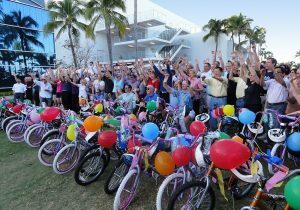 Best Corporate Events has created team-building events for thousands of satisfied corporate teams. We have a 5-Star rating and some of the best comments and reviews in the business! You’ll find over 1,000 client comments and videos on our website to assure that you’re getting the BEST company to deliver an event for your group.